The unthinkable may of just happened. 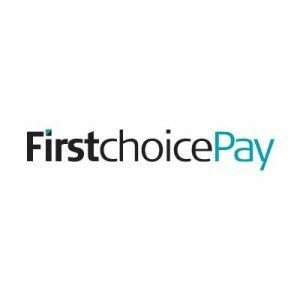 Long term industry leaders The Dailypay Service have been the first to break the news on First Choice Pay/Payoneer/Choice Bank going under via the Adultwork.com forums here. Payoneer recently changed branding to First Choice Pay, they hold a majority share of the pie for processing payments for the Adult Industry currently paying out in excess of $400 million each year for the top tier cam sites to thousands of webcam girls. With FCP going under, there will be a scramble to find out whos going to be the next big processor. The Adult industry has only just recovered from PacNet going under which affected millions of users, it took many months for the big sites to find and setup new deals to fully complete the switch over. “Hi everyone, these are indeed inconvenient times for us, myself included. There are literally tears in my eyes as I’m writing this. The latest developments were not any process or a discussion that I was aware of, or participating in. All existing funds on cards can be accessed at ease, there’s no cause to withdraw all remaining funds from the cards at once, however there will be no additional payments loaded. This relates to prepaid cards. Existing bank transfer services for selected sending websites, are still functional, as far as I know at the moment. In contrast The Dailypay Service recommends members to withdraw all their funds, if you were around when Epassport crisis (2010) occurred it would be wise to withdraw your funds asap. “Paxum Inc would like to address any concern our clients may feel after the recent news regarding Choice Bank Limited. On April 9th 2018 Choice Bank Limited informed its customers that it has been forced into a constrained position by the regulatory authorities. Next post Funds stuck in a clip site or a cam site due to First Choice Pay going under?